After much anticipation and requests from readers, Vishwas Mudagal’s No. 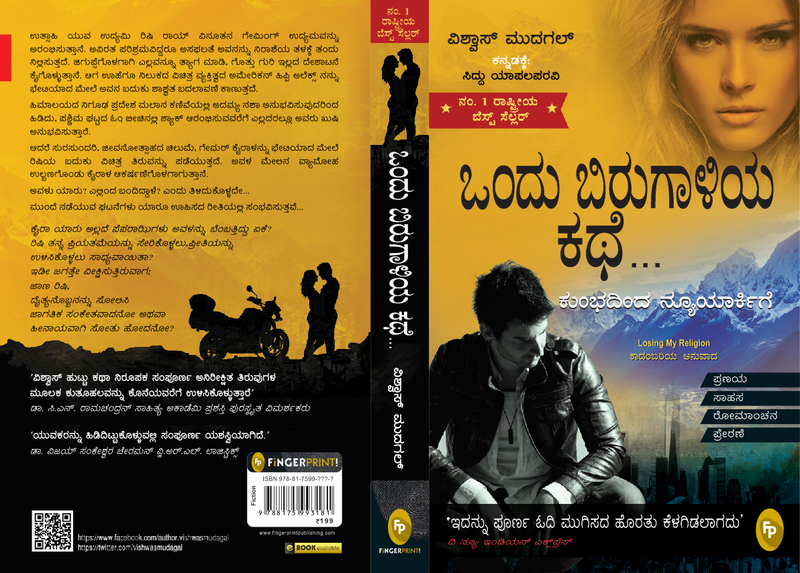 1 best-selling novel ‘Losing My Religion’ is now available in Kannada. The book is named ‘Ondu Birugaaliya Kathe: Kumbhadinda New Yorkige,’ which means ‘Story of a Hurricane.’ The book has been translated into Kannada by well-known translator and author Siddu Yapalaparavi. The novel was released in April 2016 with a mega-launch in Karnataka with who’s who of the industry and society at the event. It is now a best-selling novel in Kannada.